Biosphere Reserves are protected areas of land or coastal environments to conserve the ecosystem and genetic resources contained therein. The concept of Biosphere Reserve was launched by UNESCO in 1975 under its Man and Biosphere Programme (MAB). There are 409 Biosphere Reserves located in 94 countries. India has 14 Biosphere Reserves. 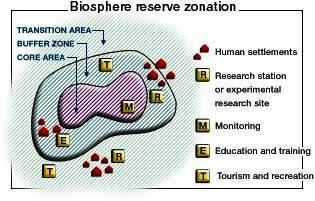 Biosphere Reserves are divided into many zones namely, core zone or natural zone, buffer zone and transition zone. Core Zone: It is an undistributed and legally protected ecosystem. ie, in this no human activity is permitted. Transition Zone: The outermost region of the biosphere is termed transition zone. 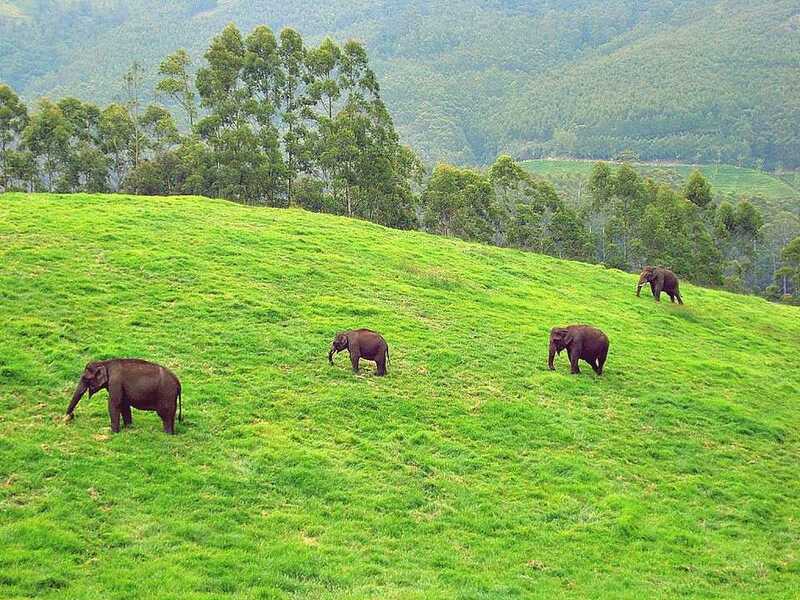 It is the area of active cooperation between reserve management and the local people. To provide education and support for research and aware the people about the global issues of conservation development.